In Surfers Paradise we don’t just celebrate New Year’s Eve for one night … we celebrate for almost one week! This year the Surfers Paradise New Year’s Carnival will provide a family friendly celebration in the lead up to the big night. Head down to the Surfers Paradise Foreshore from December 27th for carnival rides, kids slides and more great entertainment. Then on New Year’s Eve dress up as your favourite character and come along for the ‘Superheroes of Paradise’ where you can have a photo with superheroes! 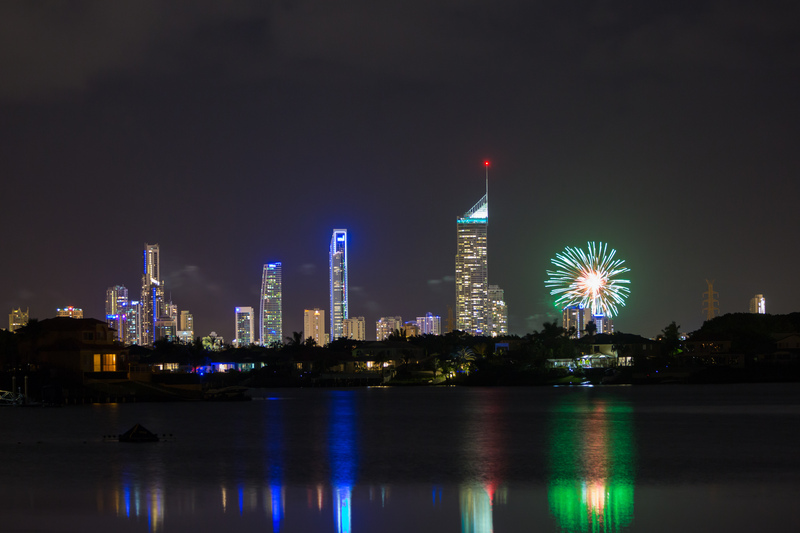 Of course it wouldn’t be NYE without fireworks, and Surfers Paradise delivers one of Queensland’s biggest fireworks displays, on Surfers Paradise beach! There will be a family friendly fireworks display at 8pm, followed by a second show ringing in the New Year at midnight. There’s always something happening in Surfers Paradise! Book your Gold Coast getaway today staying at The Shore Holiday Apartments.